ModiFace, which specializes in virtual and augmented reality for mobile apps, has launched Shift, a new photo effects app for the iPhone and iPad. The company, widely known for its apps targeting the beauty industry, is now using the photo-editing technology it developed to give users new ways to create distinctive visuals. Just upload an image from your photo album or take one directly in the app. 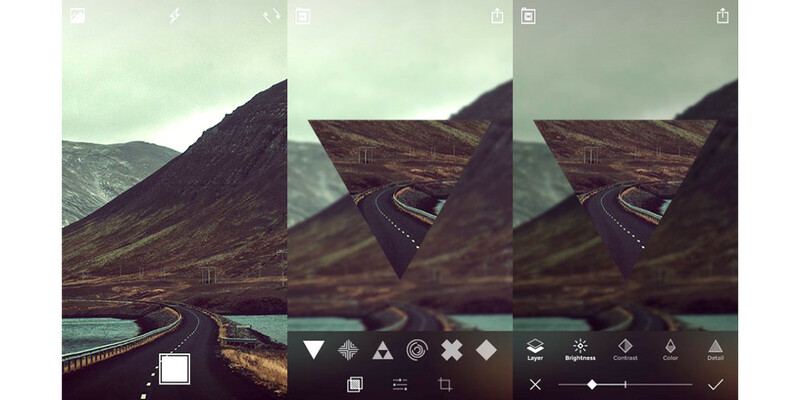 Shift offers several overlay designs that you can use to create visual effects. After that, you can adjust the image’s brightness, contrast, color and detail. Once an image is finalized, it can be saved or shared to social networks. Whereas creating unique visuals may be Shift’s immediate mission, another goal is to teach new developers how to build similar apps. Shift is being used in conjunction with ModiFace’s new Coursera specialization for iOS developers. It functions as a preview of what students will learn and its code will be available as a guide for students to create their own photo editing app. The idea is that people can learn its design and development methodology to help them create new apps for iOS 9 and in Apple’s Swift programming language. ModiFace already specializes in custom Web and mobile try-on apps, in-store mirrors and visual e-commerce and its tech powers over 100 custom augmented reality apps for brands such as Allergan, Procter and Gamble, L’Oreal, Unilever and Sephora. This is its first app it has developed for general design outside of the beauty category. Shift is available free on the App Store.